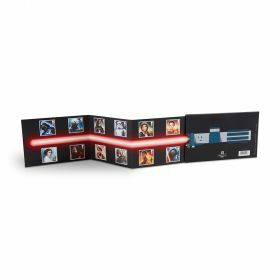 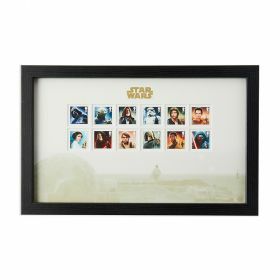 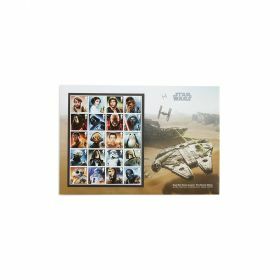 This exceptional A4 sized collectors item has 10 Special Stamps next to labels with film stills taken from the Lucasfilm archives. 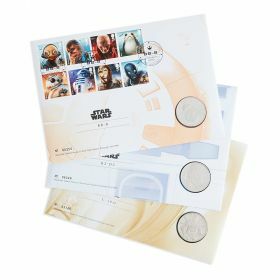 This exceptional A4 collectors item comprises 10 Special Stamps depicting Yoda, Darth Vader, Han Solo and an Imperial Stormtrooper. 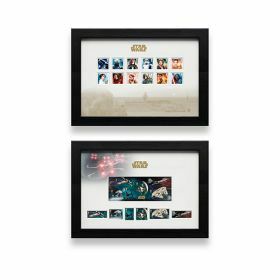 These are presented next to labels featuring complementary film stills taken from the Lucasfilm archives, and set against a dramatic background. 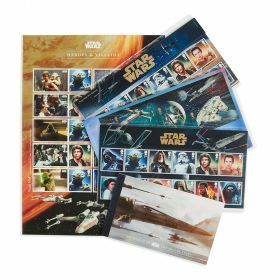 It comes to you complete with a protective backing and clear cover to make a highly collectable souvenir.